Make your own access for the UnitedHealthOne online by enrolling an account at www.MyUHOne.com. This is the most practical solution for managing your healthcare and your health. You will have access to a lot of useful online tools and information related to your wellbeing. Taking total control of the quality of your health is possible by registering now. There are lots of benefits in store for every prospective member. Enroll for an access and take advantage of the important services. You can search for additional information, view available benefits and preview information on claims by accessing MyUHOne.com. Existing members can always use these services by signing in. Prospective members can easily register for a valid password and username. The confirmation for your account enrollment will be sent directly to your email address. You can still register for an access even without your ID card. Use the information from the coverage statements as an alternative for the ID card. Go through the extensive nationwide network if you are searching for a doctor or healthcare provider. 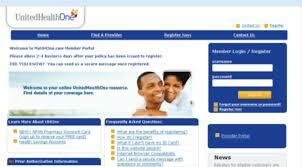 The network also provides affordable rates and discounts on various medical services. Input your desired product, customer information and zip code through the provider page in your account. The Health savings account center is offering services related to finances. You can take advantage of the offer for your savings, retirement plans, triple tax advantage, and health services spending. Save more money on insurance by reducing the tax in your healthcare expenditures. Learn more from the online video tips, calculators and other useful online tools. You can never go wrong by calculating your savings, tax exemptions, and insurance coverage through HSA. Receive regular updates about nutrition and wellness as part of your membership at My UH One. Know more about eating the right amount based on your age, weight and metabolism. This knowledge will help you to achieve a fit and healthy lifestyle. You will also receive advice on the ideal fitness program for your pace. There is a lot of information related to weightlifting, aerobics, yoga, and more. No matter what your lifestyle may be, you will always have the choice for your most suitable fitness program. For issues regarding your account, talk directly to a customer care representative by dialing 1-800-657-8205. You may also send your communication through fax at 801-478-7581. Customer assistance is available every Monday through Friday, from 9:00am until 6:00pm, Eastern Time.